The bus driver is departing from a stop sign when she allegedly hits the bicyclist. He is pronounced dead at the scene. The 6-year-old student is hit by her school bus after getting off at a bus stop. 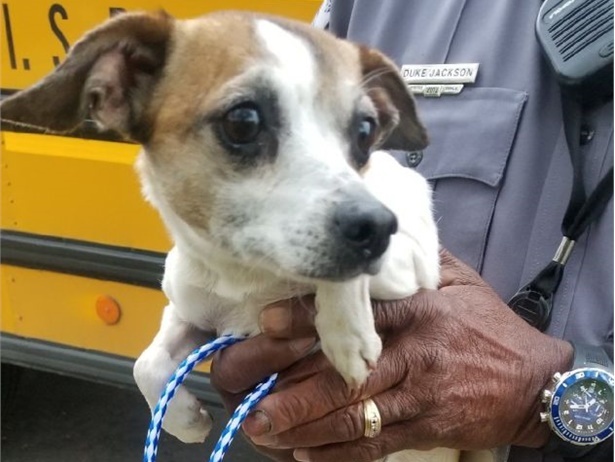 She is being treated for her injuries at a local medical center. 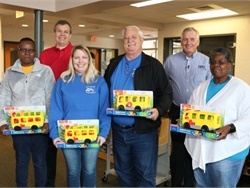 School districts and contractors across the U.S. celebrate pupil transporters with breakfasts, candy, prizes, awards, and visits from special guests. 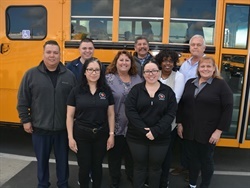 School districts and contractors across the U.S. treated pupil transporters to breakfasts and presented awards. 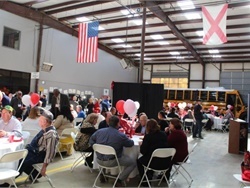 Special guests included dignitaries and mascots. 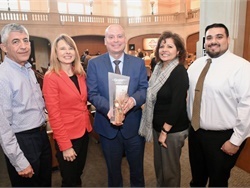 The San Antonio Independent School District receives an award from the city for its Clean Green Yellow School Bus Machines program. A Texas woman is reportedly walking in the road when she is hit by the bus. No one on the bus is injured. John Stevens stopped his bus before the railroad tracks as state law requires and then pulled forward before being struck by a freight train, according to the crash report. One student was killed in the crash. The Texas bus, which had two students on board, came to a stop, then continued across the tracks in front of the train, police said. One student died and the other was hospitalized in critical condition. 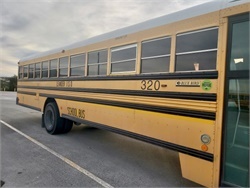 The Pflugerville Independent School District’s board of trustees approves $14.8 million for a fleet of 159 new school buses. 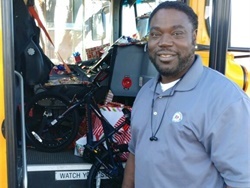 Curtis Jenkins of Texas saves money from his paychecks to buy a total of 70 presents for the students. Leander Independent School District’s new Blue Bird Vision propane buses are expected to reduce nitrogen oxide emissions by more than 130,000 pounds.